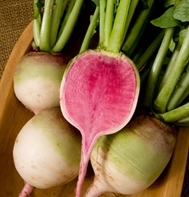 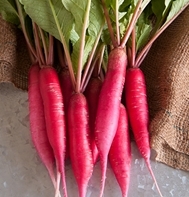 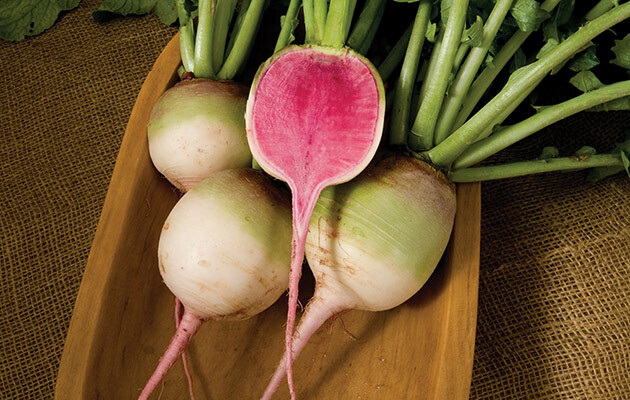 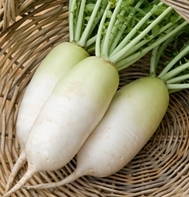 Johnny's Radish Planting Program is designed to take the guesswork out of succession planting, allowing you to easily extend your radish harvest throughout the growing season. 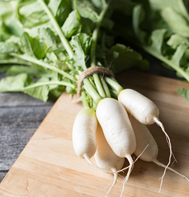 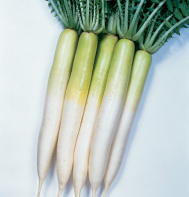 Choose specialty and daikon radish varieties by days-to-maturity, specialty end use, and optimal sowing/harvesting periods. 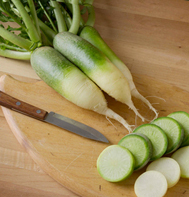 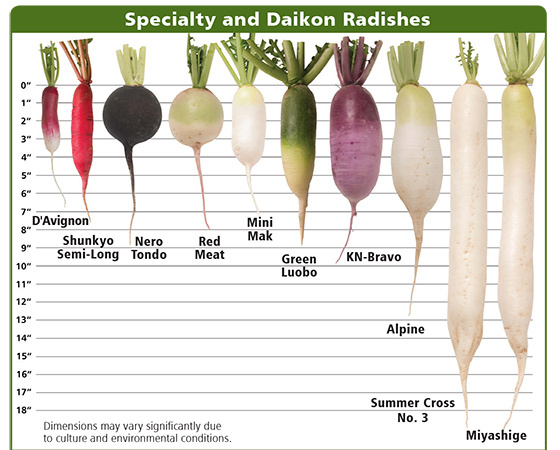 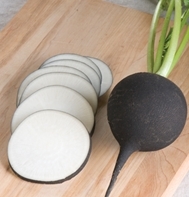 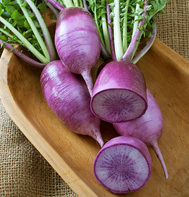 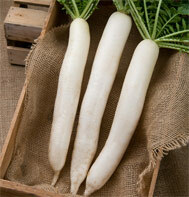 Refer to the visual diagram at the base of this page for a comparative depiction of relative dimensions and shape of these specialty and daikon radish varieties.